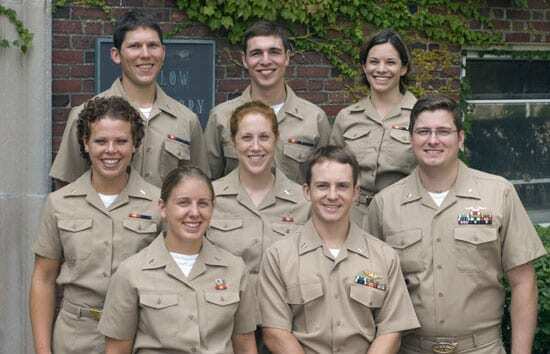 Who are the Navy officers who study at MIT/WHOI? 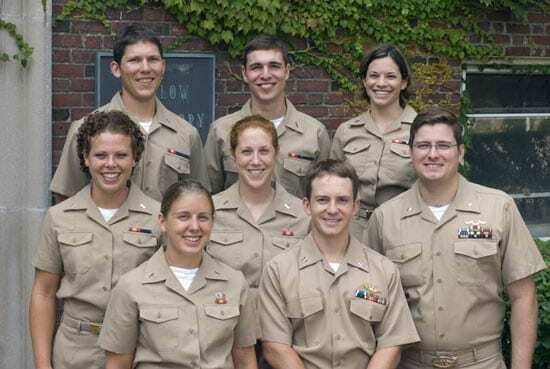 Nine U.S. Navy officers are pursuing graduate degrees in the MIT/WHOI Joint Program in Oceanography/Applied Ocean Science and Engineering through a special arrangement between the institutions (see “An Officer and a Graduate Student“). After grad school: training as a surface warfare officer in Little Creek, Va.
Research: working to create a mechanical fish that will mimic the fast startle response observed in fish. After grad school:flight school in Pensacola, Fla.